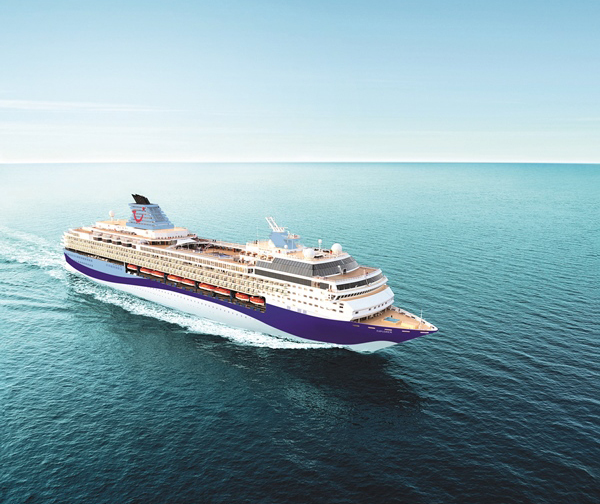 Thomson Cruises has announced its latest addition to the fleet will be named TUI Explorer. 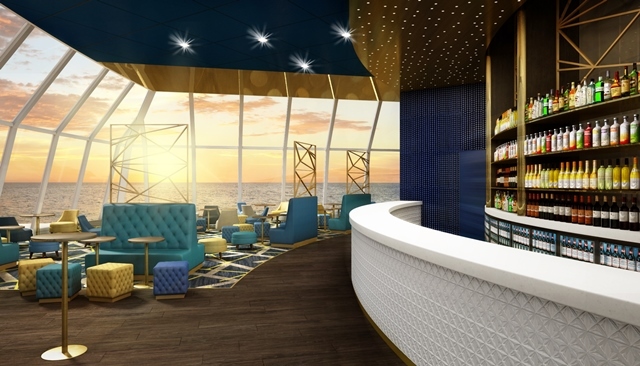 Entering the fleet as Thomson Cruises’ biggest ship yet, the new vessel introduces new feature bar, Indigo, which offers ocean views and is home to the casino and nightclub; Aperitif, a speakeasy style bar; Scoops, an ice-cream parlour with quirky bicycle-themed seating; and The Lounge, a new venue complete with colour-changing bar. 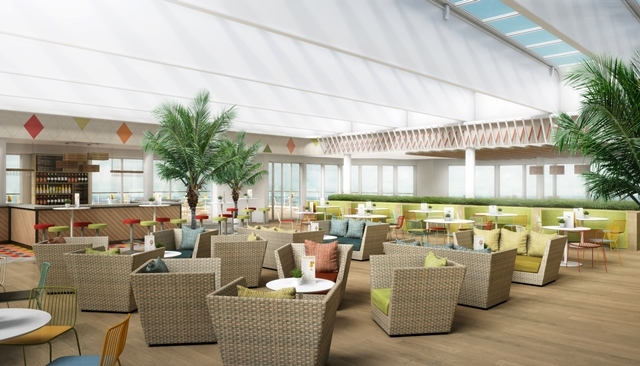 The ship will also feature an extensive onboard spa hosting 11 different areas including a Finnish sauna with floor to ceiling windows, a couples room and two luxury treatment suites, and The Veranda, an adults-only sunbathing area with padded sun loungers, pod chairs and day beds. New cabin types on TUI Explorer include 14 family balcony cabins that measure 20m², sleep up to five people and have a balcony of up to 9m², and a balcony cabin with more external space. Standard inside cabins onboard TUI Explorer are 16m², bigger than any other standard cabin in the fleet. TUI Explorer joins TUI Discovery and TUI Discovery 2 in continuing to introduce the TUI brand to UK customers ahead of the re-brand which sees Thomson transition to TUI later this year. The ship will sail from its homeport Palma, Majorca in May 2018, visiting Western Mediterranean highlights such as Barcelona, Rome, Naples, Florence and Lisbon. TUI Explorer will sail four itineraries – Cosmopolitan Classics, Highlights of the Mediterranean, Magic of Spain and Mediterranean Secrets. If you’ve been inspired to take a cruise, use our Cruise Finder to find your perfect voyage. Click here to view upcoming sailings.